A new Glory welterweight champion has been crowned in France. 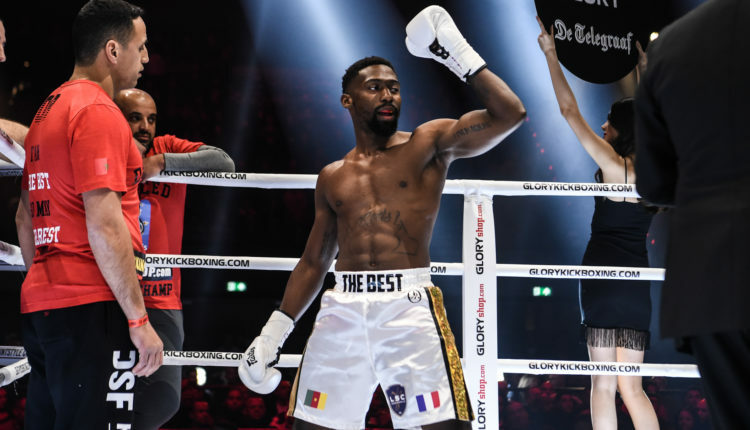 In the main event of Glory 64, Cedric Doumbe stopped Harut Grigorian with flurry of punches in the second round to win the welterweight title. The fight was halted after Doumbe dropped Grigorian onto the canvas earlier in the round. 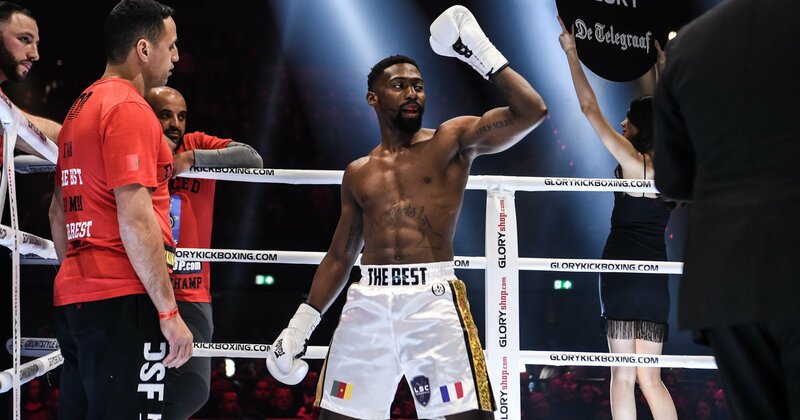 Doumbe now becomes a two-time Glory welterweight champion, having previously held the title from 2016 to 2017. Doumbe is now on a four-fight win streak in Glory. Grigorian’s title reign after a little more than one year as champion and just one title defense. Grigorian won the Glory Welterweight Contender tournament and then won the title with a first-round stoppage victory over Murthel Groenhart. On the co-main event Anissa Meksen successfully retained her super bantamweight title by scoring a split decision victory over Tiffany van Soest. The two had previously fought in 2017 with Meksen winning the fight by unanimous decision. The fight was Meksen’s first title defense since regaining her title late last year when she scored a second-round TKO win over Jady Menezes.